Nice design, the first ever stand speakers (can we say it?) for the iPod shuffle. Twin speakers, 3W output, a stylish base and recharging (through USB port) abilities for the iPod shuffle. Also sports frontal audio in/out jacks and can run on 4 AAA batteries. Pricing is UK � 34.99 (around US$ 24), available mid March 2005. 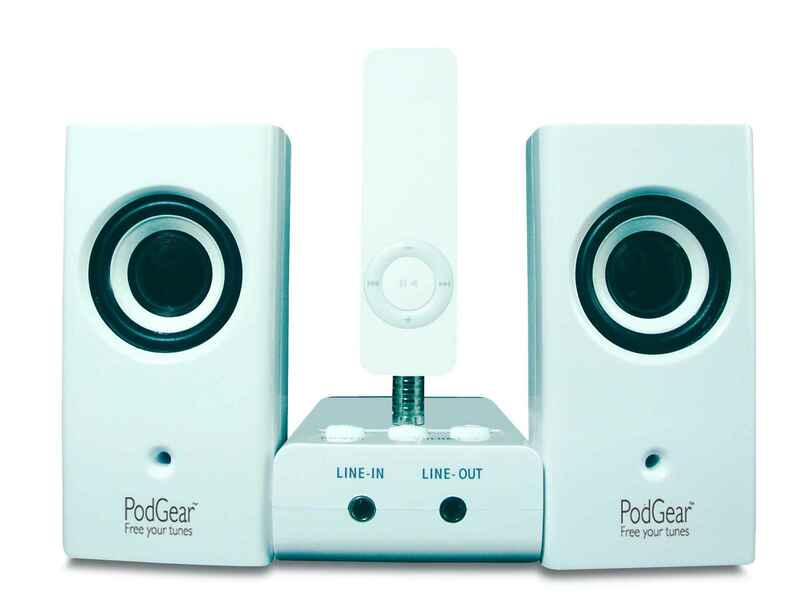 Update: take a look at the new speakers for iPod 3/4G, Mini and Photo models, a short review is available here.